March has been a busy month for the whole Rainbow Team! Peppa Pig, who is celebrating her 15th Anniversary this year, attended the star-studded premiere of her new cinema experience “Festival of Fun”, which is coming to cinemas this April! 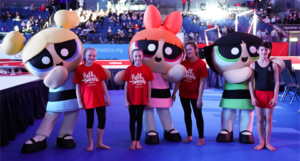 The Powerpuff Girls also hung out at the British Gymnastics Championships in Liverpool to celebrate The POW! Academy and the Rainbow Team caught some sunshine in Dubai whilst exhibiting at DEAL 2019. 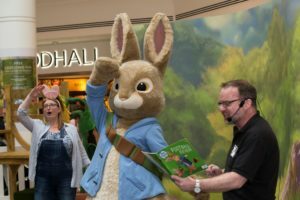 13th April: Peter Rabbit™ will be bouncing into Royal Quays Outlet in North Shields. You can join in with his Activity Trail too! 13th April: Bing & Flop are heading to Spinnaker Tower in Portsmouth. They’ll be back on 20th April to spread some Easter cheer!